Was Bergman’s vision as a filmmaker translated into his theatre work with the same passion, complexity and zest for life? I would not know, for I would need a time portal to place me in 1906s Stockholm. Wouldn’t that be the dream? But Bergman’s immense legacy is a fluid totem, an endless tapestry of colour and shadows upon which we can still, if our hands are able enough, weave intricate stories of life, death love, lust and loss. Was Bergman’s spark of brilliance spotted in London’s West End last night? Perhaps so. 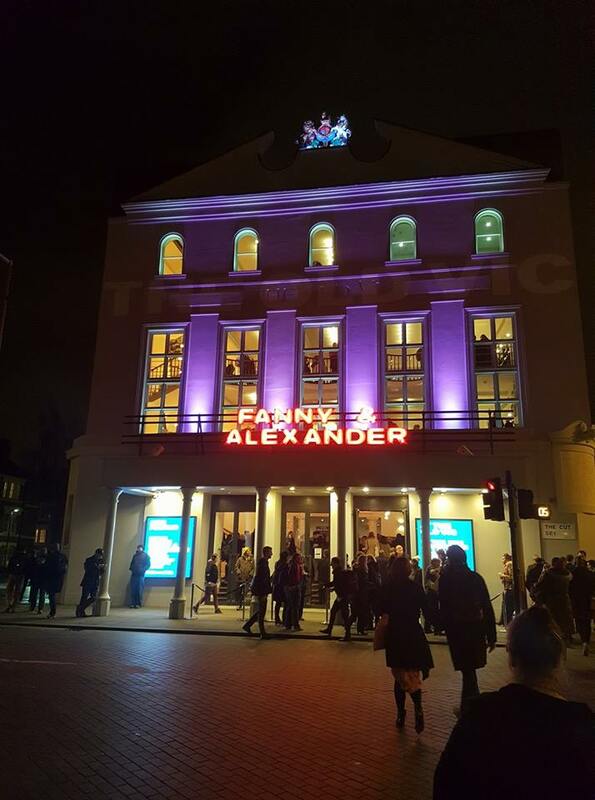 Stephen Beresford, the playwright certainly understands the material he adapted, the exquisite cinematic tour de force Fanny and Alexander. The 1982 film, which lives in two formats, theatrical release and TV has now spawn a third: a 3-act stage rendition, which has had its premiere last night at the Old Vic. As an adoring fan of Bergman’s cinematic work, I stepped into the theatre with certain expectations. Knowing the material and Bergman’s recurrent themes and visual motifs, I had already imagined how the play would be acted out. It was not as heavy as I had expected. The sacrosanct sanctuary of grandmother Ekdahl was somewhat missing, along with elements of Alexander’s imagination, which stood at the heart of the film version. The playfulness was beautifully captured, but Alexander’s rebellion seemed to fall flat, through no fault of Misha Handley, who played Alexander with the passion of a tried Hamlet. When asked about the film, Bergman was quoted as saying that he found inspiration in Charles Dickens’ work for the execution and I almost wished director Max Webster had done the same. I found myself thinking of the marvellous production of A Christmas Carol, which coincidentally was performed over the Christmas period on the same stage, as envisaged by the brilliant Matthew Warchus. Max Webster’s direction isn’t lacking in bergmanesque beauty. However, the silent wonder of witnessing the human condition unfolding before our very eyes in all its splendour is upstaged by something else. The seemingly endless red velvet curtains and mahogany furniture do give us a taste of a day in the life of the Ekdahl family. We are even invited at their Christmas table to enjoy a kinglike feast (the three Ekdahl brothers are all named after Swedish kings, after all). But the whole setting fails to make us as nervous as it should. There is no complex tension in the performances, only a flat anxiety, perfectly embodied by Catherine Walker’s Emily Ekdahl, who seems to be staggering timidly through, asking the important questions but failing to believe the urgency. The mystique is too often replaced by an exaggerated humour, which Penelope Wilton excels at, as matron extraordinaire Helena Ekdahl. Only Kevin Doyle manages to chill the blood, especially in the whipping scene, the only time where Bergman’s darkness is truly rendered on stage. Whilst still appreciating the difficulty of taking such a close-to-perfect piece of cinema and transposing it onto the stage, as a spectator I was left wanting more.